Regular readers will know we have been keen supporters of Brighton-based artist Veiga Sanchez, aka Salt Ashes, since she was an unsigned act in 2013 with L.O.V Anxiety. 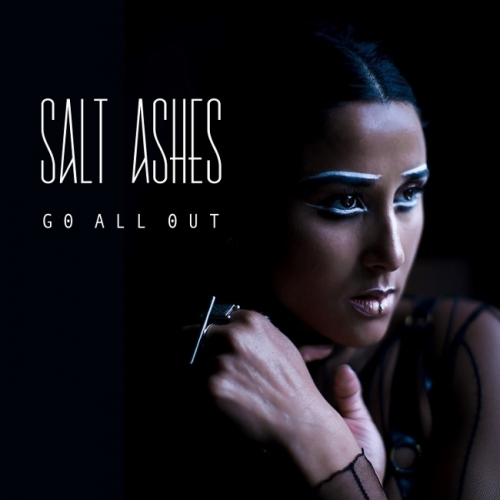 Her latest release, Go All Out, is her boldest and most compelling yet. With a heart-thumping beat, addictive synth melodies and a catchy as hell chorus, the track has garnered stamps of approval from the likes of the Line of Best Fit, EQ Music, Born Music, and Wonky Sensitive to name just a few. Her gorgeous video for Go All Out, directed by Lucrecia Taormina (Little Boots, Cuckoolander) and inspired by Tim Burton’s 1988 cult classic, Beetlejuice, was premiered on Roton Music YouTube Channel. While her previous single, Girls featured on Spotify’s UK/Italy Viral 50, The Pop List, and New Music Friday playlists, helping it to amass over 300k streams so far. Later this month (29 November) she will be playing at Tileyard Studios for a Notting Hill Music Networking event and then on 6 December, you can catch her perform at the Natural History Museum Ice Rink as part of the Acoustic Lates line-up. Brooding yet vibrant empowering synth-pop.